Robert Sparrow originally from London, England has been renovating properties since 1980, the oldest one being from the late 1600's. He appreciates the importance of quality workmanship at an affordable price; he has lived in Canada and South Africa, and now resides in Ohio, USA. Robert has worked for well known movie stars, such as Sir Lawrance Olivier and Joan Plowright, also famous London interior designer, Kenneth Partridge, whose clients include, John Lennon and Paul McCartney. 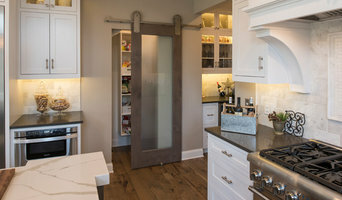 Experienced and Creative Kitchen Designers Kitchen remodeling in Northern Ohio starts with our talented staff of kitchen and bath designers who have over 30 years of combined experience turning dreams into reality. 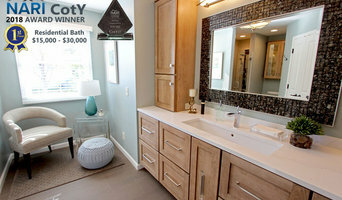 Bathroom remodeling in Northern Ohio is completed by our dedicated staff on time and on budget. We Pay Close Attention to Detail The number one, most important thing that we do from the very beginning, is to listen, to your likes, dislikes, what features you want in your new kitchen or bath. Be Confident In Your Custom Kitchen Every project is completed in CAD ( computer design). This is to ensure you can see how your new kitchen or bath will look before we start work on site. There are many types of kitchen professionals in Wellington, OH – from cabinet makers, to carpenters and interior designers – and many trade professionals offer a full suite of expertise. Depending on the size of your kitchen renovation, and the kitchen designer, they may also hire contractors on your behalf and manage the project from beginning to end. Here are some related professionals and vendors to complement the work of kitchen designers & renovators: . 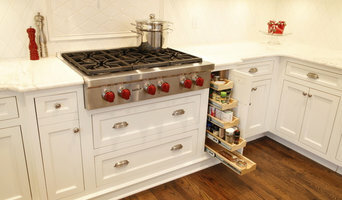 Find a Wellington, OH kitchen designer on Houzz. Browse the Professional section on Houzz to find kitchen designers in Wellington, OH. Then, scroll through photos of their latest kitchen renovations and see how their work compares to the scope of your project. You can read reviews to see how other homeowners rate their work, and message them directly to to ask any specific questions.